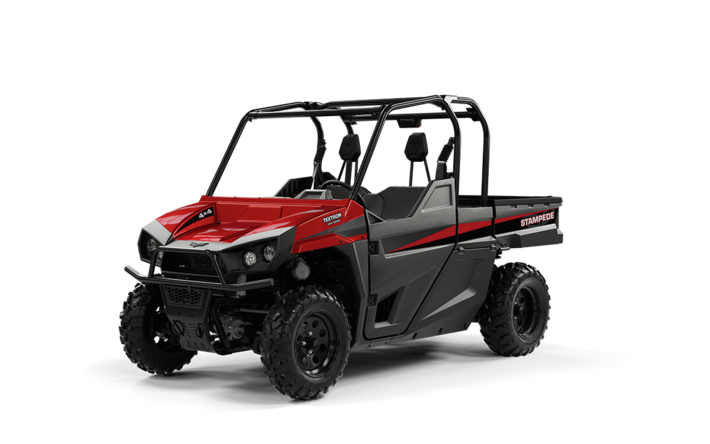 The HDX XT is the ultimate working machine, available in a 700 and 500 model, and ready to take on the tougher tasks. New in 2016 is the bring-it-on body style and automotive-style hood. 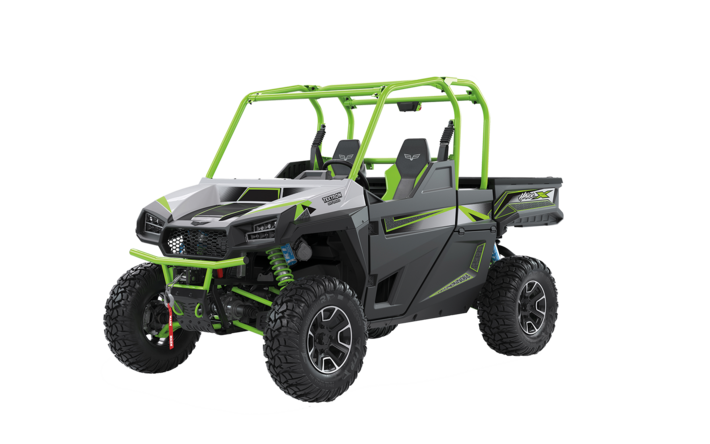 The payload is the payoff, with an industry-leading tilting 2-in-1 cargo box converting to a flatbed for 1,000 lbs./ 454kg of carrying capacity on top of rugged FOX FLOAT coil-over adjustable shocks. Side and underhood compartments store your work essentials, while tilt steering and the three-person bench seat are perfect for when your cargo includes a couple extra helping hands. 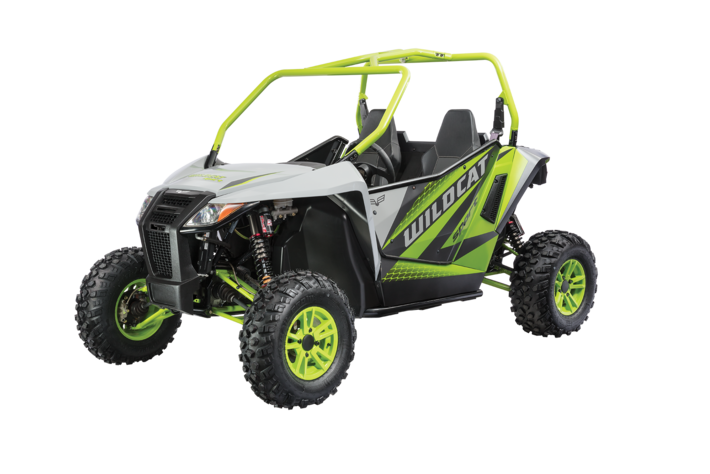 Legendary performance is what makes Wildcat Sport, XT and Limited models purr. 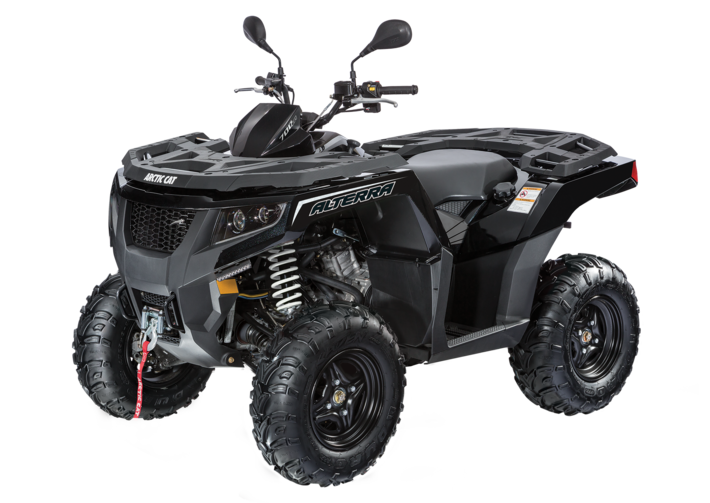 Trail or off-trail, each features a low center of gravity and high power-toweight ratio, giving you better acceleration, climbing ability and top-end speed, so you can ride confident. Standard packages have a 60" wheel stance and high-performance suspension. 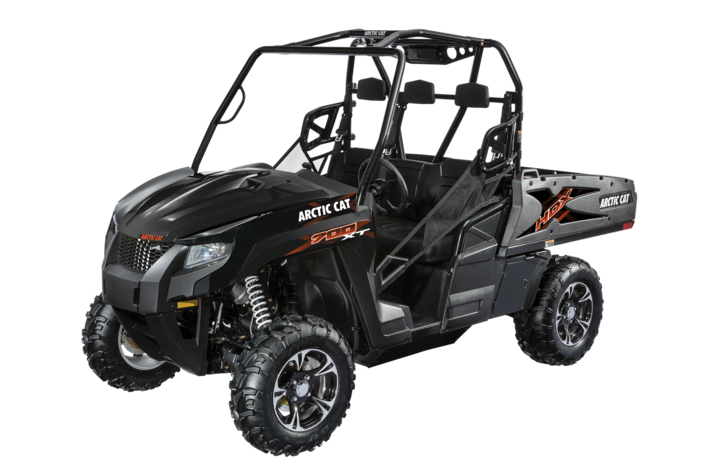 The XT gets electronic power steering (EPS) plus packs nitrogen-charged JRi ECX shocks. The Limited boasts Elka Stage 5 shocks with high/low compression dampening and EPS. 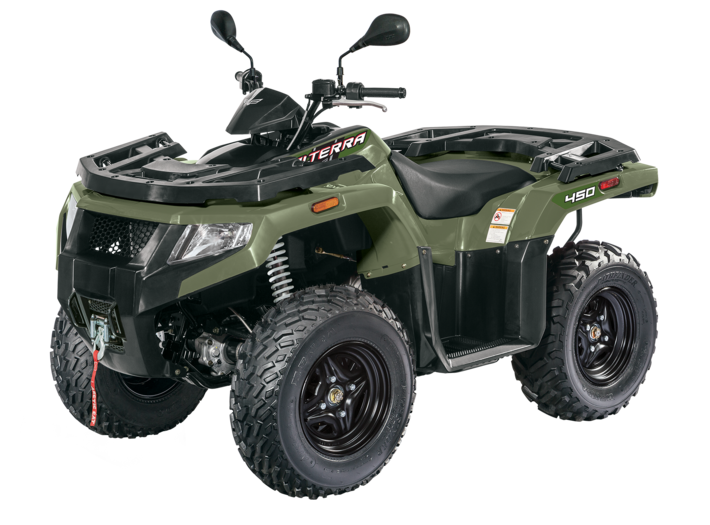 To top it off, Carlisle® Trail Pro® 4-ply tires devour tough terrains as you ride inside full doors. 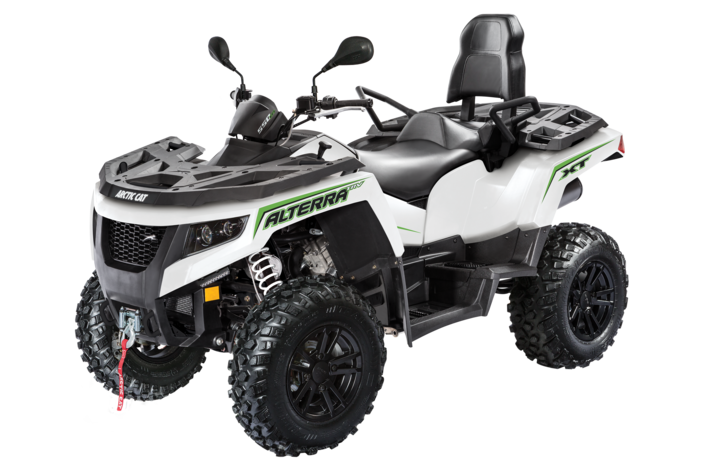 We took the brand-new body style and endless capabilities of the full-sized Alterra, and adapted them for the more compact 450/400 mid-sized models. Part workhorse, part warrior, these machines are more nimble, lightweight and versatile than the competition. 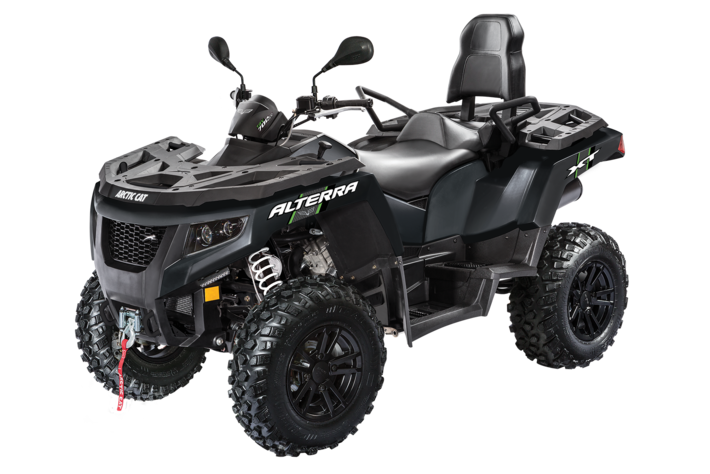 Everything from the Duramatic automatic transmission, trail-tuned independent suspension, on-the-fl y 2WD/4WD and rear hitch, all the way down to the front winch and powder coated steel rims that give you 10"/25,4 cm of ground clearance. Needless to say, we didn’t mess around with these newly styled Alterras.